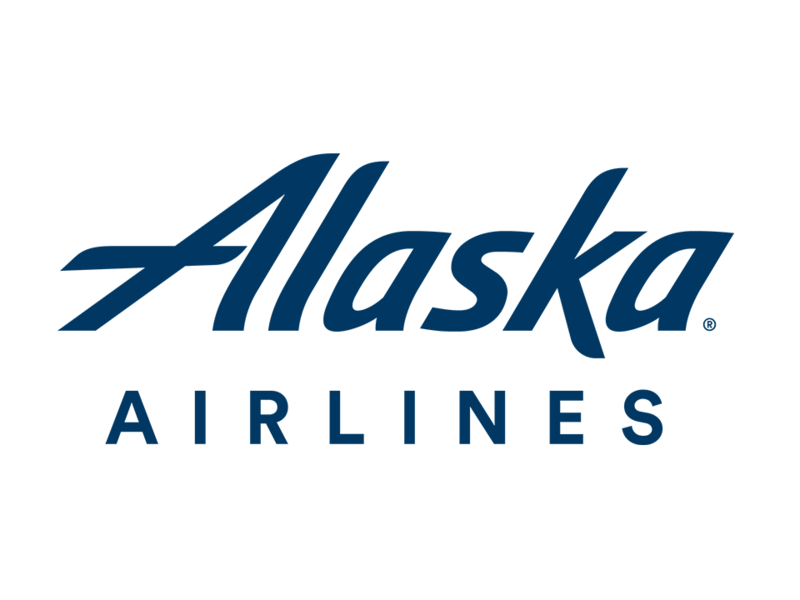 Known for friendly and relaxed service, Alaska Airlines also embraces innovative technology to improve your traveling experience. To help you decide where to visit next, make sure you follow @AlaskaAir on social for daily travel inspiration. They are excited to connect with the creative Alt community for the 2nd year in a row. LaCroix Sparkling Water is a calorie, sweetener & sodium innocent beverage with nothing artificial. 0-Calories, 0-Sweetneers, 0-Sodium = Innocent! For more information join the LaCroix community on Social at @lacroixwater or check us out at www.LaCroixwater.com. A go-to destination for home improvement supplies since 1946, Lowe’s is continually investing in helping people learn about home improvement. By offering homeowners everything from simple how-to projects to renovation ideas, Lowe’s is inspiring a new generation of DIYers and helping people love where they live. Lowe’s is thrilled to be at Alt Summit to meet some of the best and brightest creators around. We look forward to meeting you! Every website starts with an idea. WordPress.com provides the design, features, and support to bring it to life. Choose your theme, pick a domain, select a plan, and start building your future. Whether you’re a blogger or a website owner, we know you have many places where you can pitch your online tent. If you’re a current user, thanks for choosing us — we love having you around. If you’re looking to build your online presence and haven’t decided where to drop anchor, give us a try. We’d love to become your home on the web. Sherwin-Williams loves building relationships with innovative partners to create beautiful home design projects. Come visit us in our courtyard booth space to chat, do a little painting project and relax! You can also stop by your neighborhood Sherwin-Williams store anytime for color inspiration or expert advice. We look forward to connecting with you. Shop Style is a collective — a network of elite publishers and influencers. We believe in the power of your voice and your ability to drive trends and commerce. We offer tools, data, opportunities, and guidance to grow your brand, your community, and extend the reach of your voice across all of your platforms. We have strong relationships with thousands of retailers and brands around the world. We are also a commerce company with expertise, reach, and scale. The Happy Planner® is a customizable disc bound planner system that combines your love for creativity and your need for organization. The Happy Planner® not only provides a creative outlet, but also empowers + encourages women to purse their dreams and Plan a Happy Life™. We would love to connect with like-minded women who are passionate about working toward their goals, all while supporting others as their pursue their dreams. Join us for a special evening of fun food, drinks, and of course a whole lot of HAPPY. As one of the world’s largest online destinations for furniture, décor and more, Wayfair is committed to helping people create a home they love. Through technology and innovation, Wayfair makes it possible for shoppers to quickly and easily find exactly what they want from a selection of more than 8 million items across home furnishings, décor, home improvement, housewares and more. Committed to delighting its customers every step of the way, Wayfair is reinventing the way people shop for their homes – from product discovery to final delivery. Grove Collaborative is a curated website offering the best in natural & organic products for the home & personal care for you & your family. Mixbook believes that inside every person is a natural-born storyteller just waiting to be released. Their goal is to empower people to tell their stories through unique Mixbook photo products. They love working with bloggers, designers and creative storytellers. If you’re passionate about design, photography, travel, home decor, or capturing life’s special moments with family and friends, find Mixbook on IG, Facebook, Pinterest or Twitter @Mixbook. Since 2000, ShareASale helps Affiliates like you find relevant Retail partners to connect with and promote. In addition to giving you access to over 4,500 partners, ShareASale takes care of tracking commissions, provides easy-to-interpret reporting, and most importantly – pays your commissions on time each month. Now part of the global affiliate network Awin, we can help you expand your reach to target readers worldwide. Join our hands-on workshop and stop by our booth to learn more about monetizing your blog, and to discover Merchant programs available through ShareASale and Awin. SPANX founder Sara Blakely was getting ready for a party when she realized she didn’t have the right undergarment to provide a smooth look under white pants. Armed with scissors and sheer genius, she cut the feet off her control top pantyhose and the SPANX revolution began! With a focus on solving wardrobe woes, the SPANX brand has grown to offer bras, underwear, leggings, active and more. SPANX has secured its place in women's hearts and in pop-culture with daily mentions everywhere from CNN to SNL. ConvertKit is an Email Service Provider built for creators by creators. Your email list is your biggest asset. ConvertKit helps you use that list to grow your business through attractive forms, trackable data, and simple but powerful automations. We offer a bag style for every tastemaker. From regal and poised to fun and wild, you’re always en vogue with a Ju-Ju-Be. We create stylish diaper bags that have you covered no matter what the day (or night) holds. From refined Legacy to fun tokidoki and Hello Kitty prints, we have designer diaper bags for any occasion or mood. And of course, all Ju-Ju-Be fashionable diaper bags are machine washable, ultra-organized and incredibly durable yet lightweight. Whether you seek a backpack or handbags, duffels or totes, even water bottles, and wallets, Ju-Ju-Be has something to make mom life not only a little easier but also a lot more glamorous! At Kid Made Modern we are on a mission to inspire kids and parents to find and enjoy creativity everywhere. Everything we do is dedicated to giving kids opportunities to feel their creative spark; to be imaginative, self-expressive, and resourceful. Founded in 2012 by Todd Oldham, we have brought hundreds of products to market, each crafted by our designers to help kids connect to their own inventiveness. Our products couple innovative design with high quality, environmentally friendly and rigorously safety-tested materials. Come join us in the fun. Our mission at KiwiCo is to inspire kids to see themselves as creators and makers, not just consumers. We design projects that are accessible and fun for all types of learners and make sure it's easy for kids to dive into the activity and get excited. Once they're hooked, we provide lots of possibilities for kids to tinker and try at their own level. Monthly deliveries introduce super fun materials, interesting techniques, and enriching concepts for kids of all ages across our five product lines: Cricket Crate (ages 0-2); Koala Crate (ages 3-4); Kiwi Crate (ages 5-8), Doodle Crate (ages 9-16+) and Tinker Crate (ages 9-16+). Petit Collage creates toys and gifts that are sustainable, well-made, and beautiful — loved by both kids and parents. Inspired by nature, midcentury design, and vintage children’s books. Everything Petit Collage creates is eco-friendly, made in certified ethical factories, meets international safety standards, and is designed to be long-lasting, to grow with your child. We hope you love your Petit Collage holiday gift and will spread the word about us throughout the holiday season! For 2018 we are looking for Brand Ambassadors who are passionate about buying organic. Please email janette@petitcollage.com if you’re interested. We can’t wait to meet you at Alt! Whimsical and heartwarming, Random Acts is BYUtv's original hidden-camera show that highlights the good in humanity through surprise service projects and pranks with a purpose. Each episode, a team of proficient pranksters goes undercover to make deserving people's dreams come true in unexpected ways. When you watch this uplifting TV show with your family, you'll laugh, smile, cry, and be inspired to pay it forward. Season 3 premieres this April on BYUtv. Stream it for free on byutv.org and the BYUtv app. Whether it's the young parents making their own party invitations, decorations and favors, or the innovative artists trying to express themselves with mixed media, or the grandparents making handmade gifts with love, Sizzix has a place in every home and heart. Our brand brings these special moments to life. Told through inspiring words and images, our story begins with you and continues to inspire the many generations of creativity to come. At Tombow, we’re passionate about connecting with our customers and empowering them to create their best work using our products. Founded in Japan in 1913 as a pencil manufacturer, Tombow has grown to a worldwide one-stop-shop for art, craft and office supplies. We recognize that consumers want to engage with people, not brands, so we put an emphasis on interacting with our customers through social media. We listen to the questions consumers have about our products, then build content to answer those questions. We make it our priority to provide extensive opportunities for product education, focusing on new and innovative ways to use our products at work or at home. Want to get creative together? We have an affiliate program, Brand Ambassador team, and other sponsorship opportunities that we’d love to chat about with you!